As it happens, spring 2019 is a great time to gear up for home comfort and savings, too – thanks to the Hocon 2019 Swing into Spring event. The Single – Get a 20lb BBQ tank refill for just $10. Show this promotion at one of our convenient Hocon Gas locations. The Double – Save $99 by getting a state-of-the-art propane tank monitor installed for FREE. With tank monitoring, you will see exactly how much propane is in your tank right now, right from your computer or smart phone. It’s the ultimate peace of mind tool for your propane deliveries! The Triple – Pay half price for a Hocon Home Comfort Service Plan*. Save up to $140 on a plan for your furnace, boiler, water heater, hearth, or pool heater. 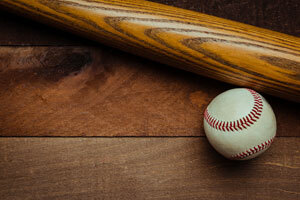 The Home Run – Save up to $1,200 when we double the rebate on your high efficiency propane water heater or combi-boiler! Supplies are limited, so act quickly! As always, our expert staff and technicians will take care of you from your first call to our final cleanup and beyond so you can enjoy comfort and ease in your Connecticut home for years to come. Don’t sacrifice your hard-earned money – Intentionally walk to your phone and give one of our convenient showrooms a call today for savings that will get your spring off to a quality start. But hurry, offers expire April 30. Don’t forget to mention these great offers when you call! Hocon Gas – Serving our neighbors from showrooms in Norwalk, Torrington, Waterbury, Danbury, Guilford and Suffield, CT.
* Service plan discounts for new or additional plans only.